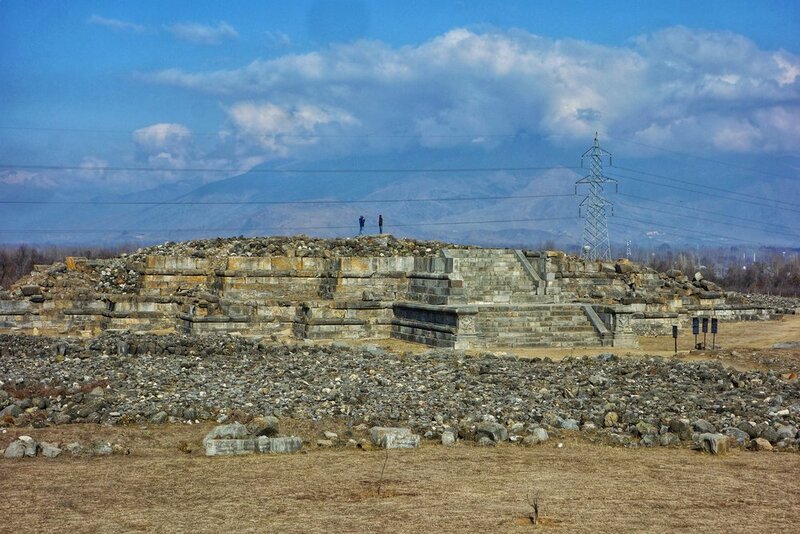 The Great Temple complex ruins at Naranag in Kashmir. Probably one of the finest set of Temples built in Kashmir. Mostly lost and forgotten. Just around 20kms from Srinagar lies the plateau of Parihaspora which was chosen as the site for a new Capital by one of the greatest Kings of Kashmir, Lalitaditya in the 8th century AD. The site situated on a Plateau is today in ruins but still a glorious memory of the time Kashmir was a powerful Kingdom.